When I was a little girl I saw my first tea garden. I was charmed by the teahouse and the Zen rock garden. I visited there often and always found joy. In the hanamachi, wherever I found a tiny patch of ground I often played at creating a garden from rocks and twigs. As a maiko, I chose Zen gardens as the topic of my study paper. I didn’t know why my danna had given me this enchanting garden. Though unsure, I decided to create a rock garden next to the teahouse. I spent many hours working and found peace. Rock garden next to the teahouse. 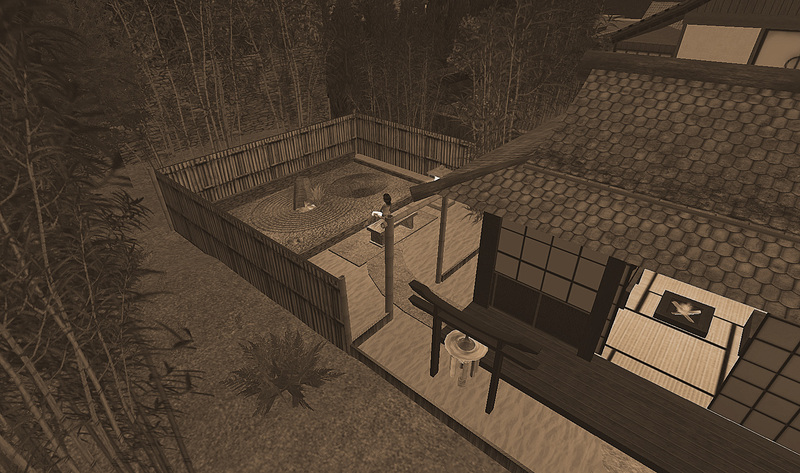 This entry was posted in Writing and tagged Geisha & Samurai, Photography, Preludes, Role Play, Second Life, Writing, Zen Gardens. Bookmark the permalink.